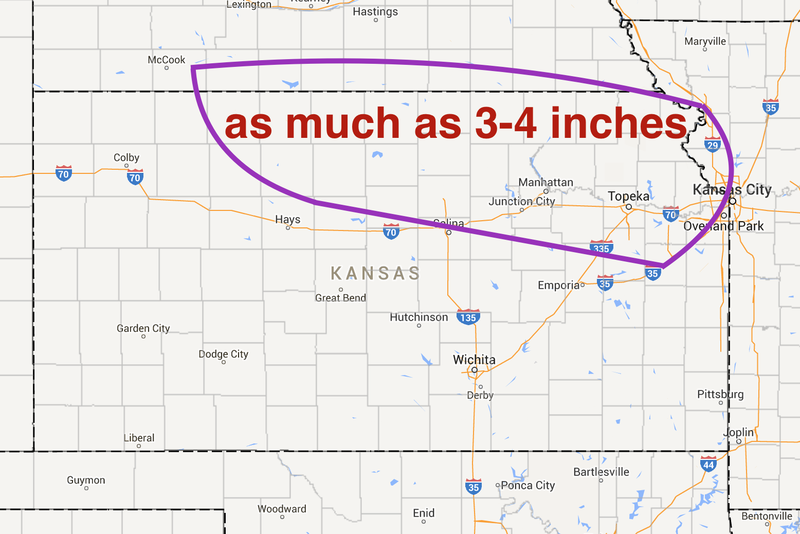 The threat in Kansas is transitioning from one of tornadoes/severe thunderstorms to flash flooding. 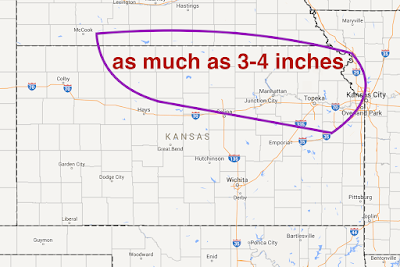 Here is the area where I believe at greatest risk of heavy rainfall. 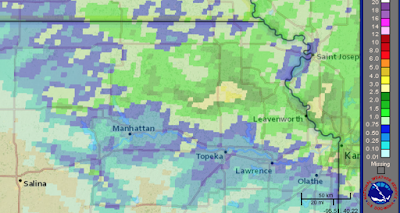 If the heavy rain should occur over northeast Kansas, serious flooding may result as heavy rains have occurred over the the last 36 hours. 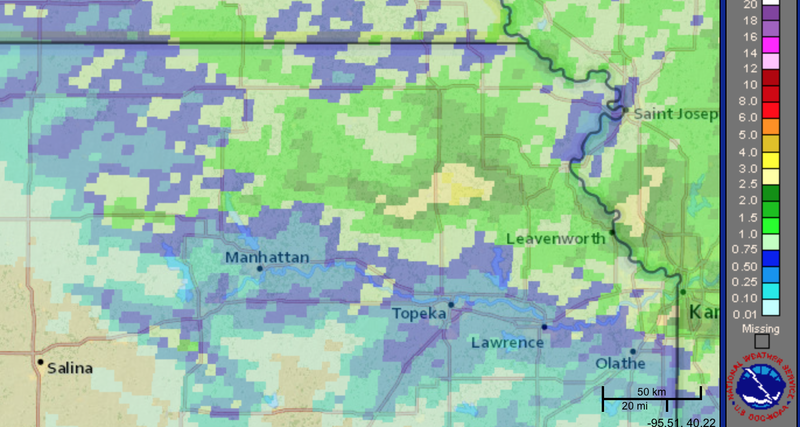 See rainfall amounts below. Currently, radar shows storms rapidly forming over northern Kansas. The cluster should continue to grow between now and midnight and begin to shift ESE or southeast over time. The good news: There is a research project called PECAN investigating this type of overnight heavy rain event operating in Kansas as this is being written.